Do you want to provide your online learners with a place to collaborate, communicate, and catch up on eLearning course news? In this article, I’ll share 7 tips for using Facebook Groups in eLearning to make their experience more social. Facebook is one of the most popular social media platforms. Millions of people login each day to chat with friends, promote their businesses, and share the latest news. It also happens to be a great forum for eLearning. 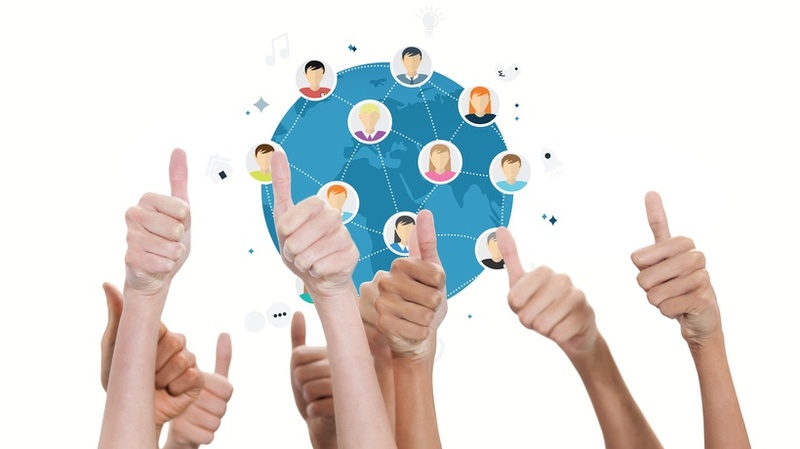 However, some online learners may be hesitant to offer feedback and discuss topics in such a public setting, which is why Facebook Groups is such a valuable tool for eLearning professionals. We can provide our online learners with a more secluded space where they are free to share their opinions. Here are 7 helpful tips to use Facebook Groups in your eLearning course design. One of the perks of incorporating Facebook Groups into your eLearning strategy is providing a personal eLearning experience. Online learners don't have to be concerned about sharing their thoughts with everyone, just they select a few like-minded peers. Facebook offers three different levels of privacy: open, closed, and secret. Public group posts are viewable to the masses. Closed group posts are only accessible to the members, but others can search for the group. Secret Facebook groups are more exclusive. Only members are able to locate the group and view the posts. Ideally, you should aim on smaller, closed Facebook groups if online learners are reluctant to participate. If you're dealing with sensitive subject matter, then secret Facebook groups may be your best bet. You must choose a name for your Facebook group and write a brief description. Keep in mind that potential members are going to read this when you send the invite. Thus, it has to clearly state your message, group goals, and what online learners can expect. For example, what information they'll receive and how much they will have to participate. If you're opting for an open Facebook group, include keywords to make it easy for online learners to find you. The "about" section has a 3000 character limit. So, you may have to write a few drafts to get it just right or enlist the help of your Subject Matter Expert. Things can quickly spiral out of control if there aren't rules in place. Therefore, you should create a list of guidelines, recommendations, and netiquette tips to keep the group on-topic. Above all else, online learners must understand that the group dynamics hinge on respect and collaboration. If there is ever a dispute, online learners can refer to the guidelines and figure out how to resolve the issue. They also make members feel more at ease, which increases participation. After setting the ground rules, pin them at the top of the Facebook group page so that everyone can see them. In fact, you should pin all important reminders so that they don't get lost in the shuffle. Facebook groups must have an administrator who monitors group activity and has the power invite new members. Smaller groups usually only require one admin, while larger groups may require a team of administrators. If you have more than one group, it's usually best to appoint a new admin for each one. The administrator is typically in charge of sparking online discussions, posting resource links, and managing the member count. You might consider creating a secret admin group or page where they can discuss key issues. For example, enacting changes to the group guidelines or dealing with a problematic member. Successful Facebook groups rely on commitment and consistency. Your membership may rise slowly at first, but you must give it time to grow. You also need to post on a regular basis and manage the group dynamics daily. If the group is open, promoting it to grow your membership is part of the eLearning process, as well. Your group members are more likely to engage and offer their input if they see that the leader is active. Absent admins can also lead to chaos and confusion, as there is no one present to moderate the online discussion. Set aside time every day to do some Facebook group maintenance, which includes posting and replying to comments. In some cases, your online learners may need a nudge to join the Facebook group or participate in the online discussion. Invite them to share their ideas by posting compelling questions or images. Post links to eLearning articles that serve as discussion-starters. Make them feel like they are part of an online learning community by featuring "member spotlights". This involves sharing interesting tidbits about themselves, such as their hobbies and interests. The goal is to connect with them on a personal level so that they feel comfortable. You can also host special contests and giveaways for those who need some extra motivation. It's inevitable. Every now and then you'll notice a controversial comment pop up on the Facebook group page. This is particularly true for open groups that don't enforce membership guidelines. Try not to ignore the comment, because this can lead to a "snowball effect". Another member will comment on the post in question, and that can trigger a verbal sparring match within the group. If you see an offensive or disrespectful comment, acknowledge it and then encourage others to move on to another post. If the commenter is repeatedly posting inflammatory comments, you may want to remove them from the group altogether. Facebook Groups require an investment of both time and energy, but they offer a wealth of benefits to your online learners. The key is to stay consistent. Post on a regular basis and get your online learners involved. Pose questions, solicit their feedback, and make them feel like a valued member of the team. Thinking of using another powerful social media platform to use in your online training course design? Read the article 5 Ways To Use Instagram In Corporate eLearning to deliver bite-size online training to your employees.